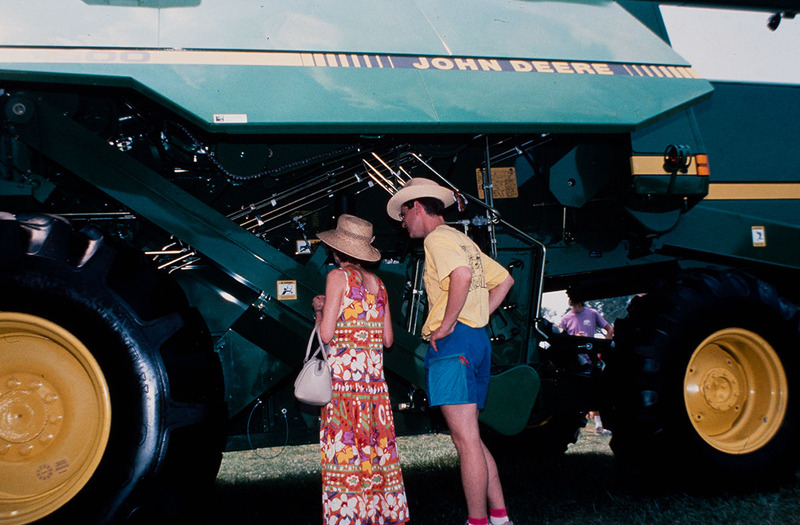 1991 Festival of American Folklife, Family Farming in the Heartland program (91-21462). 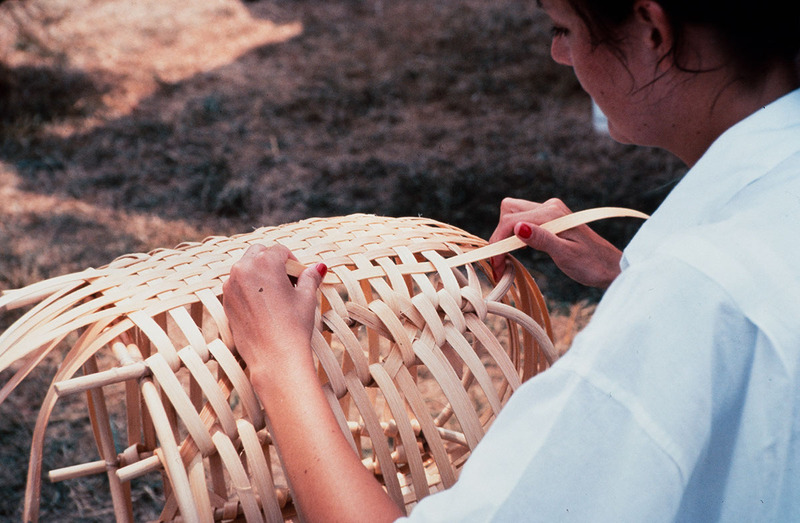 1991 Festival of American Folklife, Family Farming in the Heartland program (91-21578). 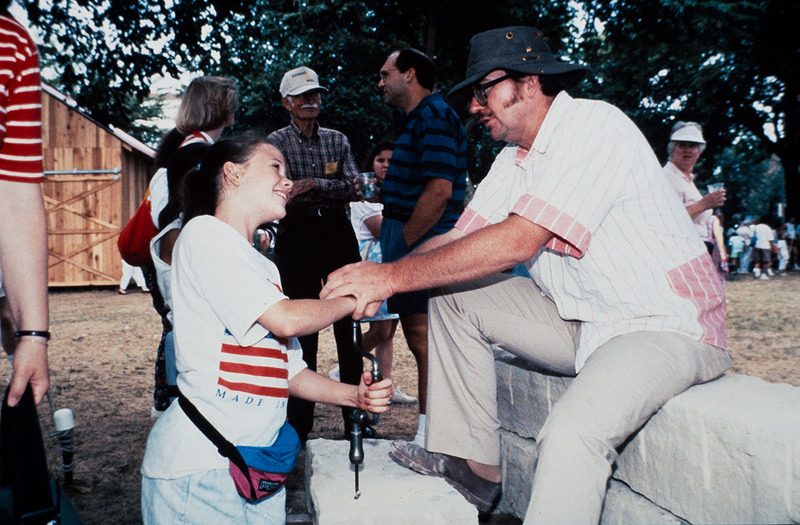 1991 Festival of American Folklife, Family Farming in the Heartland program (91-21667). 1991 Festival of American Folklife, Family Farming in the Heartland program (91-21817). 1991 Festival of American Folklife, Family Farming in the Heartland program (91-21923). 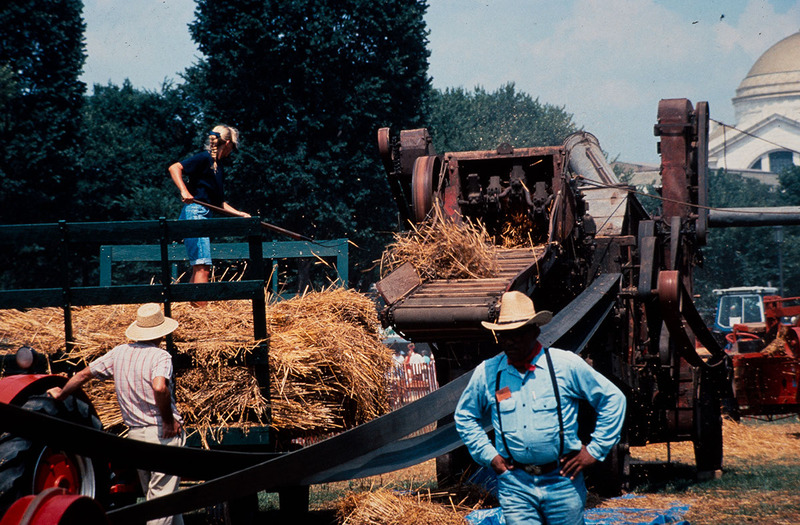 1991 Festival of American Folklife, Family Farming in the Heartland program (91-21964). The "economic crisis" of the early 1980s rivaled the Great Depression of the 1930s in its impact on family farming. Its effects were still being felt in 1991. Some farms that had been in families for a century or more had gone bankrupt; people who loved working the land had been forced to move to towns or cities and work in factories or offices. In many rural areas, churches and schools closed or merged with those in nearby towns because populations had become depleted. Some farmers complained they didn't know their neighbors anymore, as farmland was turned into housing developments or bought up by large agribusinesses. But many family farms survived. In spite of the ups and downs of fluctuating agricultural markets, unpredictable weather, and debt payments, family farmers found strategies to persevere. Smithsonian researchers identified two things that the families researched for this year's Festival had in common: a body of skills and knowledge inherited between generations within an ethnic and rural tradition; and a keen interest in and understanding of their rural past, reflected in family histories, stories, photos and memorabilia. These two qualities - knowledge and consciousness - can be called "family farm folklore," and they have helped rural families maintain a way of life few of them would willingly trade for easier and often more profitable lives in towns and cities. The old and the new, the older generation and the younger generation, come together on the family farm. Like folklore itself, life on the family farm embodies both continuity and disjuncture, change and durability. At the Festival, farming families from twelve midwestern states presented their culture through family folklore and storytelling, community celebrations, and demonstrations of work skills - from machinery repair to computer-based management of breeding records. Farm families try to preserve a way of life and to remain stewards of the land. But today their task is more complex than it has ever been, given the economic, technological and informational revolutions in farming. 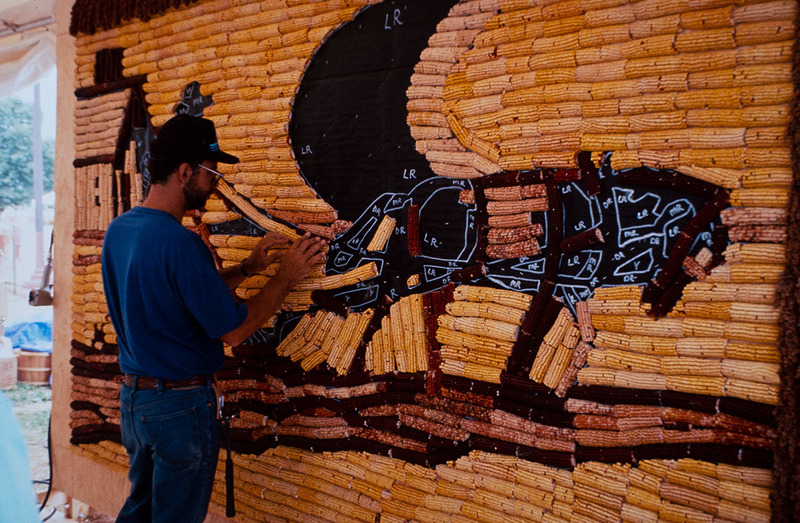 Festival visitors could understand how tensions between an increased productivity through innovation on one hand and a preservation of family lifeways and values on the other, animated the family farmers' challenge of living off and caring for the land. 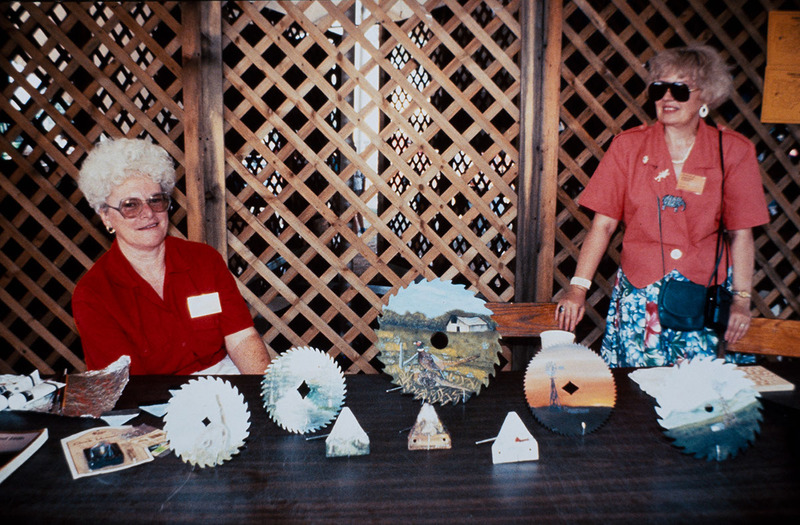 Betty J. Belanus was Curator of the program, and Barbara Lau was Program Coordinator, with Doris Dietrich as Assistant Program Coordinator. Family Farming in the Heartland was made possible with the support of the U.S. Department of Agriculture. In Roman mythology, Janus, guardian of portals and patron of beginnings, was a god of two faces: one looked forward, the other back.